THE DARK KNIGHT TRILOGY was written and directed by Christopher Nolan and consists of BATMAN BEGINS (2005), THE DARK KNIGHT (2008), and THE DARK KNIGHT RISES (2012). Christian Bale, Michael Caine, Gary Oldman, Morgan Freeman, and Cillian Murphy appeared in all three movies as Bruce Wayne/Batman, Alfred Pennyworth, Jim Gordon, Lucius Fox, and Jonathan Crane/The Scarecrow, respectively. Other members of the cast included Liam Neeson as Ra’s Al Ghul (BATMAN BEGINS, THE DARK KNIGHT RISES), Heath Ledger as The Joker (THE DARK KNIGHT), Aaron Eckhart as Harvey Dent/Two Face (THE DARK KNIGHT), Katie Holmes as Rachel Dawes (BATMAN BEGINS), Maggie Gyllenhaal as Rachel Dawes (THE DARK KNIGHT), Tom Hardy as Bane (THE DARK KNIGHT RISES), Anne Hathaway as Selina Kyle/Catwoman (THE DARK KNIGHT RISES), and Joseph Gordon-Levitt as Robin John Blake (THE DARK KNIGHT RISES). Heath Ledger waib an Academy Award for “Best Supporting Actor” for his role as The Joker in THE DARK KNIGHT. He passed away in January of 2008 before the film was released. Composer Hans Zimmer collaborated with James Newton Howard on BATMAN BEGINS and THE DARK KNIGHT, and composed the music for THE DARK KNIGHT RISES alone. Chicago, IL served as Gotham City in both BATMAN BEGINS and THE DARK KNIGHT. Pittsburgh, PA was Gotham in THE DARK KNIGHT RISES. All the three films were critical and box office successes. 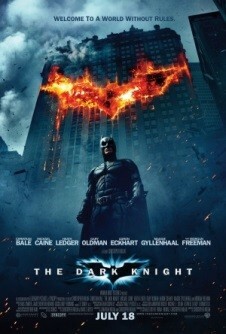 THE DARK KNIGHT was the number one movie at the box office in 2008 earning $1,003,045,358 worldwide. 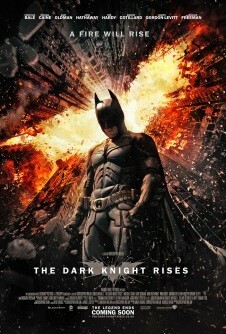 THE DARK KNIGHT RISES was the number two highest-grossing movie of 2012, earning $1,081,041,287 worldwide. 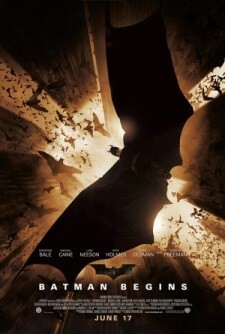 BATMAN BEGINS was the ninth highest-grossing movie in 2005, taking in $372,710,015 worldwide. Click on the images below for more on each film, as well as BOF’s coverage of each — which includes interviews, set visits, and much more.